Another market season comes to an end. We are filled with gratitude for the kind folks of Forest/Lynchburg/Bedford who come out to shop at our market stand every Saturday. And for our wonderful farm share subscribers. Without your support our work here would not be possible! 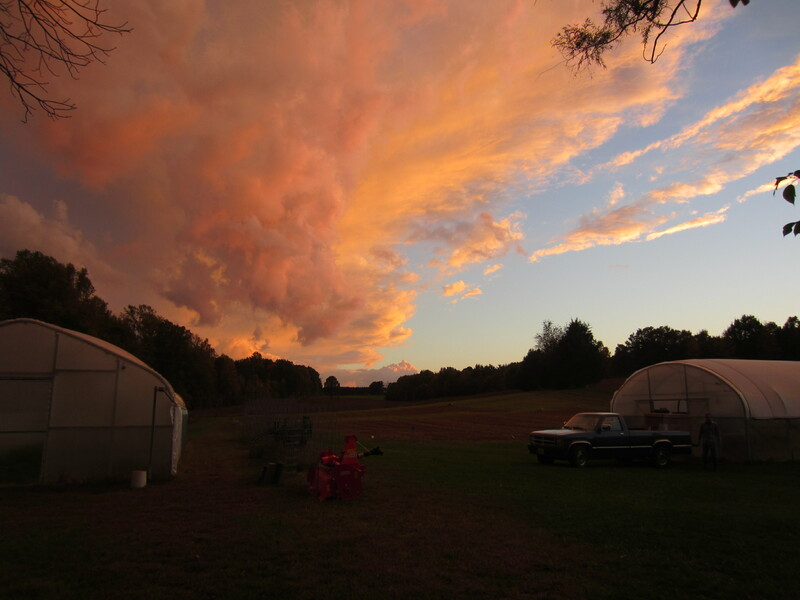 Sunset over the farm. We are looking forward to a winter of work on the many projects we have been waiting to have time for. And hopefully some much-needed rest. 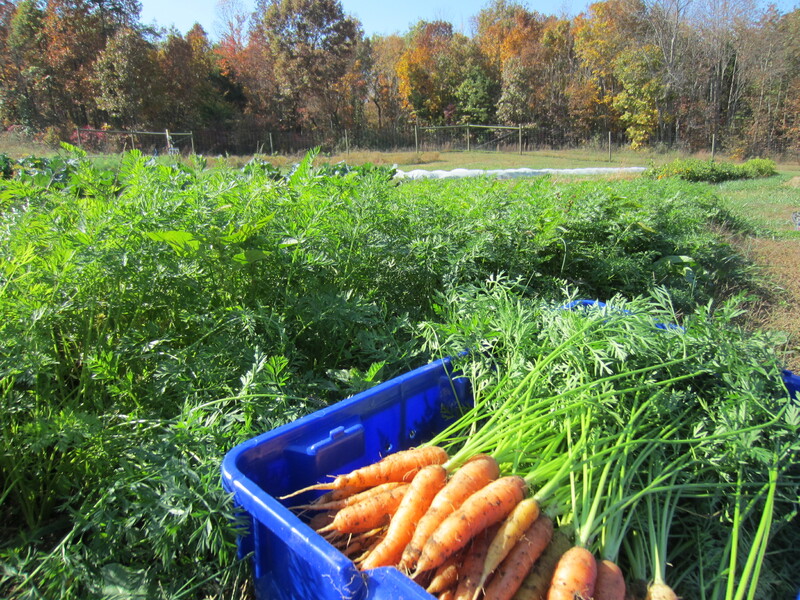 Carrots are finally ready. They smell heavenly as I pull them from the ground! Fall broccoli will be ready in a few weeks. We hope to have some for the pre-Thanksgiving market in Forest. 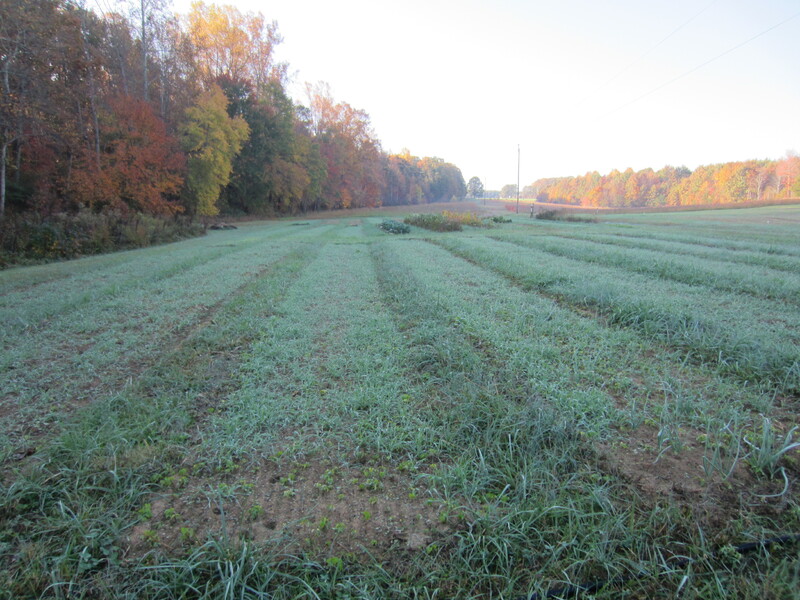 Our field area has been mostly put to bed for the winter with a sowing of winter wheat, crimson clover, and forage rye. Still waiting on a hard frost, though we’ve had a few cold nights and tiny frost patches here and there. The photos are great and I can almost taste the carrots and broccoli. 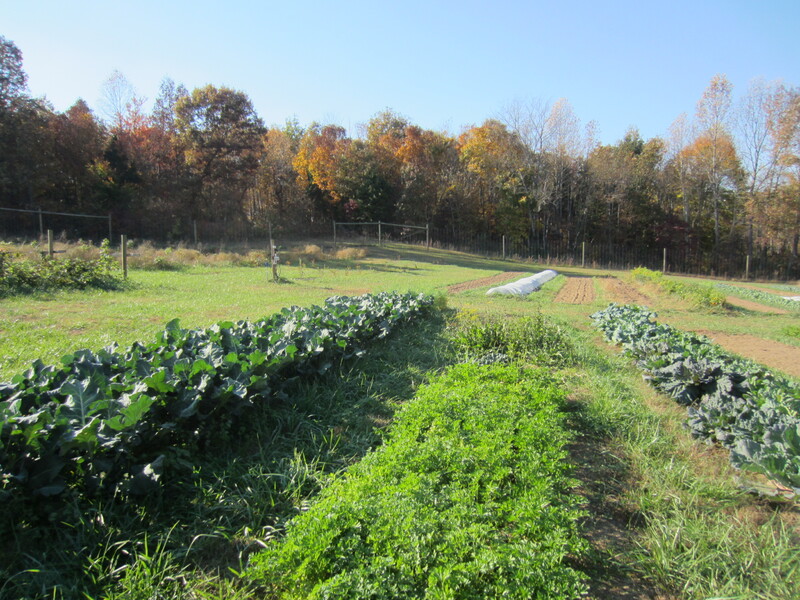 I do not like to think that the growing season is ending but I know you need to finish some projects around the farm and prepare for next spring. Thank you for providing such nutritious and delicious food for others in a thoughtful way. I’m ready to rest. Have to go dig some potatoes now though. Thank you. Virginia is a beautiful state indeed!